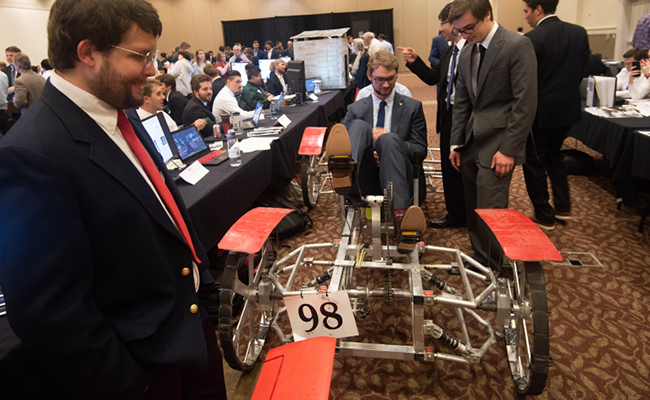 The University of Georgia College of Engineering provides students with amazing experiential learning opportunities, including our innovative Capstone Senior Design courses for each of our eight undergraduate degree programs. Senior Design courses provide industry and community partners the opportunity to work with a team of senior engineering students focused on accomplishing innovative and impactful projects. While benefiting the partner, students develop essential skills required of them when entering the workforce that includes teamwork, creative problem solving, cooperative collaboration, while given the opportunity to lead an engineering design projects from planning to completion. The ethics, laws, rules and regulations, licensure, leadership, and professional practice of engineering are important aspects of this course. Further, students complete their projects through participation on multi-disciplinary team for the workforce including team building, creative problem solving, cooperative collaboration, and participating in projects from planning to completion. If your company or organization would like to submit a project for consideration, please complete this brief online form.